A partial retraction has joined the ten retractions and five corrections of Anil Potti’s papers, this one of a 2008 paper in Molecular Cancer Therapeutics. The move comes 14 months after the retraction of the Nature Medicine paper upon which much of the Molecular Cancer Therapeutics paper was based. Anil Potti, the former Duke oncology researcher who has now retracted ten papers amid continuing investigations into his work, has been reprimanded by the Missouri medical board. Anil Potti, the former Duke oncologist who has now retracted ten papers, is no longer listed as a staff member at the oncology practice that hired him sometime last year. 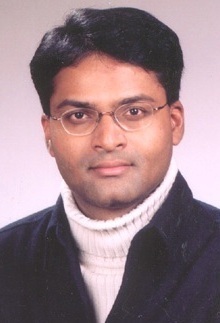 Anil Potti can add two corrections to his less-and-less impressive publication record. The mega-corrections — part of what we are close to being ready to call a trend in errata notices — in the Journal of Clinical Oncology (JCO) are, however, quite impressive, each with at least a dozen points. “Neither snow nor rain nor heat nor gloom of night” keeps U.S. mail carriers from delivering your letters and packages, and neither seven retractions, nor being forced to resign, nor malpractice settlements (and an ongoing case) keeps former Duke oncologist Anil Potti from publishing papers.